Luc Schuurmans, Head Private Banking, Executive Management at Bank Linth LLB AG, put together an updated overview map of Fintech Companies “Born in Switzerland”. Since his last update, he collected 7 Fintech Startup more – YAPEAL, Instimatch, Sanostro, SimpleWealth, TaxLevel, Chaordic and Quotip. Verve Capital Partners Ltd. operates investiere.ch, a disruptive early-stage and equity gap financier. Based in Zug, Switzerland, Verve Capital Partners was launched in December 2007, with the aim to develop and implement innovative financing concepts for small and medium sized enterprises (SMEs) while connecting private investors directly to SME investments. WeCan.Fund connects investors to the best Swiss SMEs seeking crowdfunded loans. They provide a secure, user-friendly, transparent platform that will revolutionize SME financing. Swiss Crowdfunding is The First Swiss Real Estate Crowdfunding Platform. They have the right of sale of real estate for a total value of over 2 billions Euros: this includes housing estate, for profit, accommodation facilities and many hotels in spread throughout 8 different countries in Europe. Bricks & Bytes AG provides with crowdhouse.ch the first real estate crowd funding platform in Switzerland. By democratizing the way of being a real estate owner it makes everyone a happy landlord. wemakeit.com was founded in Switzerland in February 2012 by the communication consultant Rea Eggli, the artist Johannes Gees and the interaction designer Jürg Lehni and within very short time grew into one of the largest crowdfunding platforms in Europe. 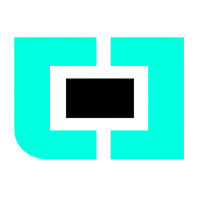 Propmatch.ch We are a 2015 founded PropTech Startup from Basel. Our goal is to make B2B real estate transactions (investment properties and real estate) more efficient. We help real estate professionals with our open and free analytics platform to make better decisions. Through the combination of Big Data, GIS and Analytics, we enable intelligent matching between sellers, properties and buyers of all sizes throughout Switzerland. Projektstarter ist eine Crowdfunding-Plattform mit Sitz in Solothurn, welche seit dem Jahr 2011 tollen Ideen und ihren Machern eine Möglichkeit zur Finanzierung bietet. Sie ist in Besitz der Designatelier GmbH. ProjektStarter bietet den Menschen im Raum Schweiz die Möglichkeit ihre Idee oder ihr Projekt zu finanzieren. 100-days.net (St. Jakobstrasse 54a, CH-8004 Zurich) is a limited company which is 100% owned by Ron Orp GmbH, based in Zurich. The site’s managers and founders are Romano Strebel, Christian Klinner and Ron Orp. DealMarket is a global online platform for fundraising and deal flow management – a one‐stop shop for Private Equity & Corporate Finance professionals. DealMarket counts more than 15,000 active private equity professionals from 159 countries and is growing fast. Global leading banks like UBS use DealMarket’s deal flow management tools like hundreds of Investors, Associations and Networks trust our comprehensive service offering for Private Equity. Go Beyond Investing brings together a group of private accredited investors dedicated to providing early-stage capital with entrepreneurs seeking investment capital. Go Beyond Investing enables novice & experienced, small & large investors, to access angel investing as an asset class through its unique platform, tools, training and expert angels. SoSense is a pioneer in digital social innovation with offices in Zürich (Switzerland) and Berlin (Germany). They design creative and engaging concepts, implement innovative and empowering solutions and help run impactful campaigns with leverage. CreditGate24 connects borrowers with private and institutional investors and offers an efficient and scalable settlement of loans. CreditGate24 operates exclusively online, with no branches or high administrative expenses in order not to diminish the yields on investment and to minimize the cost for borrowers. Advanon is an authorized financial intermediary that is directly subordinated to FINMA (Directly Subordinated Financial Intermediary, DSFI) according to the Anti Money Laundering Act (AMLA). Suricate Solutions Sàrl a développé GoHeidi, une plateforme web de financement participatif basée sur la précommande d’un produit/service afin d’aider toute personne à réaliser son projet. Veolis provides a Crowdfunding and Crowdinvesting Platform for sustainable projects in Switzerland, for example: Renewable Energy Projects, Cleantech Company; processes and legal contracts between Project Owner and Investor are simplified and standardized. c-crowd represents a new way of financing entrepreneurs while democratising the concept of business angels, brings together innovative entrepreneurs and investors. Loanboox is the independent money and capital market platform for public-sector borrowers and institutional investors. In contrast to conventional brokering, financing and investing through Loanboox is simple, transparent, safe and low cost, benefiting both borrowers and lenders alike. SWISS STARTER the first equity crowdfunding platform in Ticino (Switzerland), wants to be a real support to help new startup that needed funds to start their project or to carry on existing projects in the critical steps. Swiss Crowdlending FinTech for private persons and SME. Crowd Solutions is the provider of Crowd4Cash.ch the innovative Crowdlending platform. Crowd4Cash brings investors and borrower together. For better returns for the investors and lower interest rates for borrower. 100% online, easy and simply fair! creditworld verbindet Schweizer KMUs mit privaten sowie professionellen Investoren. KMUs profitieren von attraktiven Konditionen und fairen Vertragsbedingungen. Investoren erhalten Zugang zu einer neuen Anlageklasse mit interessanten Renditen und unterstützen dabei das Rückgrat der Schweizer Volkswirtschaft. Splendit matches students and investor in an auction process, issue documentation and manages payments through the lifetime of the loans. Acredius is an online platform that makes investors’ and borrowers’ needs meet in an unconventional, digital, intuitive and safe environment. Investors can diversify their portfolios and enjoy interesting yields. Borrowers get access to fair financing using their traditional and non-traditional data. Lendora is a Swiss crowdlending startup. Our platform connects borrowers and investors online to make credit more accessible and investing more rewarding. Foxstone is a Swiss real estate crowdfunding platform. The platform proposes institutional-grade real estate deals in Switzerland through three types of investments: co-ownership, co-investment and mezzanine debt with a minimum investment amount of CHF 25’000. moneyguru.ch ist der digitale Assistent für private Finanzen in der Schweiz. Der Moneyguru ist von den Gründern von moneyland.ch ins Leben gerufen worden. Die unabhängige Vergleichsseite moneyland.ch ist sozusagen die Mutter, die Datenlieferantin und der Rechner von Moneyguru. Crowd Trading‘s objective is to bring a revolution to the world wide online financial services being the first on the market to offer a social trading platform to collectively manage portfolios of financial assets through a decision-making system for public groups of investors (herein “crowd”) and an automated trades replication within the crowd. adviceonline.ch, the complete and regulatory conform Onboarding, Profiling, Opening Document Management, Advisory and Consolidation Suite for EAM and Banks. 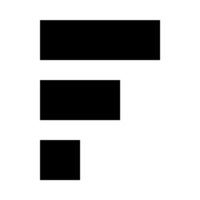 FLYNT reinvents platforms, services and experiences that put clients in control of their wealth. We see wealth as a means to follow life’s dreams, ambitions and aspirations. Wealth is a gateway to opportunity. Our mission is to transform how our clients realise these opportunities – in the most fluid, dynamic and rewarding way possible. Sentifi is a leading Crowd-Intelligence platform for financial markets globally, receiving Swiss FinTech Award 2016. Their unique approach is to structure unstructured financial data from news, blogs and social media, identify and rank the sources for their relevance and apply self-learning algorithms and a financial expert system to extract insights from the content. Qumram enables every digital interaction – web, social and mobile – to be recorded and replayed, at any time, providing a complete digital audit trail for financial services organisations, in accordance with key global regulatory requirements (MIFID-II, SEC, FINRA and more). SwissMetrics is a dynamic startup from Switzerland that has a mission to enhance the way companies monitor their credit risk. As finance professionals, they have developed a SaaS platform with the aim of promoting smarter collaboration within companies to work for a common goal – saving money through risk minimization. With diverse academic backgrounds ranging from information technology, mathematics, business administration, political sciences and philosophy, economics, design, linguistics and psychology, Adviscent‘s team of experts brings solid domain expertise on board in the banking, pharmaceutical, manufacturing and food industries. By leveraging technology, Dein-Anlageberater.ch provides users with personalized investment advisory services and recommendations for asset allocation at a much lower price than traditional investment advisers. Nectar Financial, formerly Etops, is a Swiss fintech company specializing in wealth and asset management. It provides middle and back office services for more than 30 family offices, independent asset managers and banks and supports them in managing assets in excess of CHF 35 billion. Pricehubble a Swiss based company, focusing on international real estate markets. We integrate top academic and industry experience in machine learning, computer science, econometrics, mathematics, statistics, financial services and consulting. We develop innovative solutions to support real estate decision making. Apiax is a compliance digitally mastered. We transform complex regulations into easy-to-use digital compliance rules. 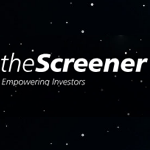 theScreener is the market leader for independent valuations of financial securities, equities, sectors and markets, and new funds. Alethena is the first Swiss ICO and Blockchain-Asset Rating Agency and Due Diligence Service Provider. 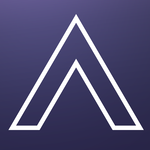 With deep technical insight, vast financial market experience, and a conclusive rating methodology, Alethena bridges the gap between blockchain and established investors. As a Swiss company neutrality is a core of our culture. The Swiss Real Estate sector is one of the most economically and politically stable in the world. It is very popular with institutional investors and remains difficult to access for private investors. In fact, the heterogeneity of properties, their acquisition values, the complexity of financing them and the retention of information signifies that this market still remains relatively inefficient. Based on these observations, Crowdpark SA, established on December 1st 2017 in Geneva, is an independent company specialized in Swiss Real Estate Crowd-Investing. Performace Watcher Evaluating and comparing the result of one’s investment portfolio must be accessible to everyone. Our aim is to popularize and demystify a traditionally opaque field. We believe in explanations that are simple, clear and understandable to everyone. With the disappearance of Swiss banking secrecy, increased competition, the Internet and a new generation of customers the transparency of results is born. Onedot is a Swiss company making data consumable across sources and boundaries. Onedot’s artificial intelligence (AI)-driven software helps businesses reduce manual work in data management by 8x, speed up time-to-market by 90% and increase revenue up to 10%. Onedot makes this possible by radically improving data quality–automating the data integration, cleaning and categorisation process. Additiv develops and implements digital innovations and business models for financial services companies – tailor-made and turnkey. Qedos designs beautiful & innovative solutions for wealth managers. Their solutions revolutionise the way wealth managers and their client interact. They help wealth managers provide tailored advice, provide a better client experience, achieve superior investment performance, comply with regulations and work more efficiently. Founded in 2007, NetGuardians was the first company to emerge from the innovation incubator Y-Parc, in Yverdon-les-Bains, Switzerland. The company now enjoys a solid international presence with a steadily growing clientele in Europe, the Middle East, Asia and Africa. FundBase is a cloud-based platform to ultimately host the complete investment process for high-conviction alternative investments. Fundbase delivers to qualified investors a seamlessly integrated platform to discover, execute and monitor complex investments such as hedge funds, private equity and other high-conviction investments. Pure Value Metrics provides active investors with a unique combination of Global Equity Portfolio Selection, Market Insight, Online Trading and discretionary Voice Execution. ADDFIN is a business solution for professional investors who seek to benefit and leverage on the full potential offered by digitalization and information technology in order to standardize the workflow, processes and procedures. Centralway Numbrs is a customer-centric financial services company. It enables its customers to manage their existing bank accounts and personal finances and to buy any financial product from every provider at the best possible price. Monetas develops technologies that empower people to live and do business with greater freedom than ever before, and that make financial inclusion a reality. Interaction Partners is a Swiss-based Investor Relations Services firm with a focus on facilitating broker-independent trust-building, live interactions (roadshows) between listed corporates and institutional investors in Zurich, Basel, Bern, Geneva, Lugano, Milan and London. We believe that great decision makers are the ones that ask the right questions. Veezoo empowers them to find the answers efficiently by themselves. We make complex information easy to understand by answering any question with a clean visualization. Lykke is a Swiss Fintech company building a global marketplace based on blockchain. It builds on decades of thought and research by company founder Richard Olsen, a pioneer in the field of high-frequency finance. Richard served as co-founder and CEO of OANDA, a leading foreign exchange company. Lykke received initial seed funding in 2015. Oyoba is a finance-as-a-service platform, providing its users access to a wide range of fintech and blockchain services, including bank accounts, Bitcoin wallets, robo advisory, lending, P2P payments and debit cards. Oyoba’s vision is to turn consumer banking into a modern information service by using personal, financial and other data to create new, personalized and better services. Moneygrid is born out of the vision that currency systems should be as diverse as possible and that they should connected to each other if it does make sense. Altoo has developed its wealth platform in co-creatorship with its clients. Our independence and diversity enables us to connect people, wealth and processes by technology in a unique way. Yapeal building a new digital bank and we’ll redefine the way people bank. Instimatch Global was founded in 2017. The inspiration for doing so, stemmed from the liquidity crisis in 2007/2008. Our founder witnessed first-hand how the interbank lending and borrowing system broke down and trust between financial institutions disappeared within a matter of days. Anders als bei anderen Lernplattformen arbeitet fintool.ch bewusst mit Kurzvideos. Da auf der anderen Seite der zu behandelnde Stoff ausgesprochen vielfältig aber auch von immenser Breite ist, sind der Anzahl solcher Videos kaum Grenzen gesetzt. Der Stoff wird fintool.ch nicht ausgehen. Nach Erscheinen werden die einzelnen „Street-Videos“ in sogenannten Wissensgefässen „zusammengebunden“. nViso provides the most scalable, robust, and accurate cloud service to measure instantaneous emotional reactions of consumers in online environments. We provide real-time and highly actionable information for Market Research, Brands, Creative Agencies and R&D Product Development. 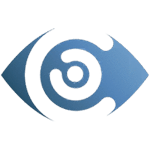 Using award winning and proprietary 3D Facial Imaging technology, compatible with ordinary webcams, we uncover the why and how of customer behaviour in real-time, letting brands make smarter business decisions and build more engaging consumer experiences. moneyland.ch is a Swiss comparison service site helping you with your financial needs. On moneyland.ch, you can use independent comparison tools for insurance, loans, credit cards, bank accounts, consumer credits, interest rates, trading and much more. 123vergleich – the portal for free insurance comparisons, offers and expert advice. 3 steps to the best offer: Compare – Request an offer – Save premiums! Comparis is a Swiss Internet comparison service. On comparis.ch, consumers can compare rates and services of health insurances, other insurances, banks, telecom providers, property, vehicles and special offers from retailers – quickly and easily. Ein Financial Explainer ist ein computergenerierter Erklärungsvideo. Mit Hilfe von Ton, Bild und Bewegung werden komplexe Sachverhalte verständlich erklärt. Gerade in der Finanzbranche, wo die Komplexität der Produkte und Dienstleistungen einen hohen Erklärungsbedarf mit sich bringen, kann ein Financial Explainer durch seine “Step by Step” Erzählweise sein ganzes Potenzial entfalten. Simple, Easy and Usefulness are the three pillars of everything that are innovated at Smartie. A team with impeccable entrepreneurship, courage to put a ding in the universe and humility are some of the characteristics of the team members. bfox ist ein exklusiver Service der fragguido AG mit Sitz in Bergdietikon. Das 2013 gegründete Unternehmen ist 100% unabhängig und wird von einem Expertenteam geführt. assetinum.com was founded with the goal of offering investors an independent and useful wealth management portal. Assetinum’s special focus is given to the search function for matching Swiss asset and wealth managers, investment consultants, banks and family offices. Users can easily arrange a meeting with experienced investment experts for free and then decide on a provider of their choice. FinGuide offers a new service in Swiss Private Banking. So far, private banking customers have been directly acquired by providers, as investors you have been in a passive role. With FinGuide you can take control of yourself without having to spend a lot of effort. The approach: We record your individual needs in detail and show you which banks or asset managers suit you best. FinGuide is available to private individuals with assets available from 500,000 Swiss francs. TaxLevel «THE NEXT LEVEL IN TAX REPORTING»bieten wir professionelle Dienstleitungen für Unternehmen und Privatpersonen im Themenbereich Steuer Reporting. Unsere Endprodukte unterstützen im Ausland steuerpflichtige juristische oder natürliche Personen. CashSentinel is a fintech startup that developed an innovative payment solution, which is at the crossroads of escrow agents and mobile wallets, to facilitate vehicle transactions. CashSentinel’s service has opened in April 2014 in Switzerland. Mobino is a Swiss company incorporated in Geneva in 2011. Their products are integrated with the existing banking infrastructure, for example through the SEPA system in Europe. A version with prepaid accounts is geared to countries where many citizens cannot access traditional banking services. CashCloud is a mobile payment system, but relies on a system of stability and security. They aim to create transparency and ensure ease of use, in order not to give rise to the scepticism and distrust which has grown between the people and the banks in recent years regarding mobile payments. milliPay is a Swiss online payment provider. With their patent-pending technology they firstly enable micropayments: their system is optimized for fast and easy access to paid content, and efficiently processes transaction amounts down to EUR 0.001. After several years of development, the Run my Accounts AG AG was founded in 2008: the Easiest Accounting for SME. And meanwhile run my accounts in Stafa with 25 employees approximately 300 companies in the size of 1 to 220 employees. SONECT Creating virtual ATMs where users can withdraw cash from any shop that joins the program at over 50% cheaper than the current ATM withdrawal costs. SmartLink is a mobile wallet services provider, offering white-label mobile transaction platform solutions, contactless transaction capabilities, know-your-customer solutions, and prepaid program management. billte digitalize paper invoices and to automate the billing chain for small and medium businesses. Since the deal does not end with a bill, we surround the invoices with a wide range of features that are beneficial for both, companies and their customers. By providing Value Added Services, such as bi-directional communication channel, awarding offers, analytics, forecasting, financial support, we help to maintain existing relationships and gain new customers. SecurionPay, established in 2014 in Switzerland, is a cross-device payment platform that enables businesses accepting online payments in 160 currencies through the checkout translated into 23 languages. Advantage Digital, Unlike web wallets and other apps acting as simple clients to web based processes, a true mobile wallet generates and keeps your sensitive data local and never shares/sends it over the internet. Payrexx is the first company that has developed an all-in-one cloud-based solution that allows you to accept online payments with payment tools such as Paylink, Virtual POS and One Page Shop without any programming skills. True Wealth AG was founded in 2013 as a Swiss corporation. An automated investment solution that is uncompromisingly cost-efficient so that our clients enjoy bigger returns. With INVESTORY you can trade direct investments like stocks, etfs, futures, foreign currencies, precious metals, and commodities. Collective investments like mutual funds, structured products, and certificates are not available. Investivity is a boutique investment company dedicated to delivering innovative solutions to the current challenges faced by wealth managers. Leonteq is vertically integrated and is a leading B-2-B partner for digitisation solutions. They cover the entire value chain of structured investment products from structuring to pricing, documentation, issuance, listing, settlement, risk management, market-making, life-cycle management and distribution. AMNIS provides small and medium enterprises via an electronic platform access on fair terms for currency exchange and foreign currency payments. Various automated systems and APIs (programming interfaces), it also allow the processes involved in dealing with foreign currency easier. Blockchain software for asset management. Melonport is building multichain capable software for asset management. Descartes is a digital Swiss investment advisor bringing together the latest insights in financial theory, leading technology, and successful investment specialists. An easy, low-cost access to strategies and methods of well-known, independent investment specialists, portfolio managers and economists. mydesq is a swiss startup which provides innovative solutions to wealth managers. We provide a comprehensive workbench which allows wealth managers to do all their daily activities in a single application on their ipad. The application allows wealth managers to truly work from anywhere, anytime and even works fully if there is no internet connectivity. But besides being powerful, the mydesq application has a gorgeous design and can be customised as we believe that each wealth manager is unique. clever circles is a platform for building and managing your assets. clever circles is a platform for building and managing your assets. VIAC A 3rd pillar solution that above all creates added value for the customer – not just for the bank. Selma makes investing easy like Sunday morning. Start managing your personalized portfolio with Selma, while keeping your risks under control and your goals on track. Evolute is a seamlessly integrated platform covering the entire wealth management value chain. Technology, Operations and Compliance services are unified on a single platform which is perfectly synchronized and modular. Evolute’s unique solution combines intelligent technology, sound knowledge, and personal advice in a tailor-made and solution-oriented offering for independent wealth managers and banks. ONEPM is a cloud-based portfolio management platform (pms) for wealth, asset and fund managers. built upon the newest web technologies it is accessible from anywhere at any time and from any device as long as you are connected to the web. With our high-quality online investment advisory service, we offer you the ideal solutions for making your personal investment decisions. 3rd-eyes is the software partner of choice for banks, insurance companies and investment advisers that wish to implement a digital goal based advisory process. Yova is an investment platform that enables you to achieve your financial goals by investing your savings 100% consistent with your values and lifestyle. Topics include renewable energy, electromobility, medical technology, gender equality, human rights and more. The SwissBorg Project aims to revolutionize asset management solutions with a community-centric approach powered by Ethereum. Members will be able to optimize their cryptocurrency holdings with the help of our Cyborg advisors and deep learning algorithms. vision& is a Swiss based, SRO-regulated asset manager facilitating the access to innovative blockchain investment opportunities, based on professional investment research and integrated into a traditional banking framework. WealthArc is a fintech company leveraging data analytics and artificial intelligence support systems to empower independent wealth managers to work more efficiently. Thus, we transform the way they share relevant and understandable information with their clients. By enriching an efficient asset management tool with an outstanding level of client interaction, WealthArc enables a digital transformation and simplification. It’s pioneering simplicity and revolutionary use of latest technologies finally makes it possible for wealth managers to unlock their full potential and capitalize on the new client experience. Tokenestate.io is a blockchain-powered real estate investing platform: Invest in international real estate properties from your smartphone with no bank account, no minimum investment size and low transaction fees. Sanostro offer innovative, forward-looking hedging services to institutional clients willing to outsource certain market timing decisions. Our solutions are custom-tailored according to our client’s needs. As a fin-tech venture, Hyposcout has managed to make a name for itself in the digital marketing of mortgages in Switzerland. As an online brokerage platform, Hyposcout AG brings together investors (investors) and real estate owners (borrowers). Private investors, as well as institutional clients from all over the world who want to hedge their investment through a Swiss property and benefit from attractive interest rates, are eligible as investors. On the other hand, capital investors have the opportunity to raise capital at a market-oriented interest rate and provide their Swiss property as collateral. Cashare was founded in January 2008 as a public limited company under Swiss law, has its registered office in Hünenberg (ZG) and is registered in the commercial register of the Canton Zug. They are an approved financial intermediary pursuant to Art. 2, para. 3 of the Swiss Money Laundering Act and are audited by PricewaterhouseCoopers AG. MoneyPark is Switzerland’s first independent provider for personalized financial advice that’s worth its money. MoneyPark offers a thorough and comprehensible analysis of financial products in order to find the optimal product for your needs. lend.ch (LEND) a registered financial intermediary and a trademark and service of Zurich-based Switzerlend AG, provides a crowdlending platform for private loans that allows borrowers to benefit from fair interest rates (~5-9% compared to 12%, the current average interest rate for consumer loans in Switzerland) and investor from better returns. Hypoguide ist eine Aktiengesellschaft mit Sitz in Zürich. Sie wurde im Dezember 2013 von den heutigen Eigentümern gegründet, mit dem Ziel, die Suche und das Vergleichen von Angeboten für die private Liegenschaftsfinanzierung zu vereinfachen. CROWDLI ist eine Crowdfunding-Plattform zur Vermittlung von Miteigentumsanteilen an Immobilienkapitalanlagen. Bei CROWDLI kannst du mit überschaubaren Investitionsbeträgen erfolgreich in nachhaltige Immobilien investieren und von vierteljährlich ausgezahlten Renditen profitieren. Hypotheko ist ein Startup aus der Schweiz. Unser Ziel ist es, die Hausfinanzierung so einfach und schnell wie möglich zu machen. Der Einsatz von Technologie und die Nutzung des Internets sind dabei entscheidende Faktoren. Swissquote bietet innovative Lösungen und Analysetools für die unterschiedlichen Kunden-Ansprüche und Bedürfnisse . Auf der Plattform stehen neben verschiedenen Dienstleistungen zum Online Trading auch Lösungen für eForex, ePrivate Banking und eHypotheken zur Verfügung. Die Muttergesellschaft, Swissquote Group Holding AG, ist an der SIX Swiss Exchange kotiert (Symbol SQN). TradeGear support users in all phases of an investment or trade: security / marketselection, entry criteria, order submission and management and finally exit criteria. Their focus is on mobile and wearable devices. Grydl Analytics is a startup based in Geneva that specializes in blockchain, Big Data and artificial intelligence technologies. The company provides cryptocurrency investors with an online platform that allows them to find investment opportunities by evaluating different strategies. Metaco is a software provider specializing in distributed ledgers. The company serves financial institutions, enabling them to exploit blockchain technology. Based in the Swiss Crypto Valley, SMART VALOR is a blockchain startup set to enable borderless crypto finance. We are building a decentralized marketplace for tokenized alternative investments backed by secure custody for crypto assets. Vestr facilitates the creation and life-cycle management of Actively Managed Certificates, a fast and cost-effective way of replacing investment funds. Bitcoin Suisse AG is a Swiss-based financial service provider specializing in crypto-assets. It specialize in alternative finances / non-banking assets, outside of the traditional financial system & banking establishment, so called “decentralized finance” or “digital finance”. Quotip is a management tool for structured investments and provides wealth managers turnkey access to a holistic array of services in three key areas: product idea generation, request-for-quote, audit/life-cycle-management. Quotip’s undisputed strengths are its machine-learning-based algorithm, its sell-side independency and its full coverage of the value-chain through seamless technology. Contovista is a digital banking software company. They specialized on big data analytics, business intelligence and visualization over financial data. Their product portfolio includes a complete Personal Finance Management (PFM) solution, a Finance Management solution for SMBs as well as a Portfolio Analytics solution. Financial Life Goals API is a product of SwissFinLab. Offer better investment advice regardless of the level of wealth. Holistic advice based on total wealth and goal-based asset allocation concepts. Qontis AG brings a new user experience to mobile banking and e-banking. Qontis software products provide powerful functionality for all aspects of personal finance. The focus is always on the customer and his view of banking. eHyve is a Swiss startup launched in 2017 by two engineers in order to solve the complexity around personal financial data. Gokong, your personal finance assistant. If you control your money, life is great. Manage all your finances in one place. Incorporated in 2006 and based in Geneva, B-Sharpe is a fintech startup providing currency exchange services at a lower cost – an average saving of 70% compared with traditional exchange services providers. The solution is targeted at small and medium-sized enterprises (SMEs), expats, migrant workers and frontier workers in Switzerland seeking to exchange currencies at a better rate. Devisenwerk already enjoys a high profile among small and medium-sized companies as well as private individuals. With our platform, you can easily transfer money and always keep track of it. We waive any hidden costs and always show our customers in advance what fees we charge. Currently, we offer our customers 42 currency pairs, covering the most important already. The New Standard In Usable Authentication Futurae Technologies was founded by ETH Zurich security researchers and offers a strong suite of multi-factor authentication tools that provide a high degree of security and improve the customer experience while protecting the user’s privacy. Forctis‘ goal is to create a new Blockchain technology for mass adoption and financial inclusion Inspired by the interplay between computational biology, statistical mechanics and the latest thinking in economic theory, we are developing an asset representation model based on a completely new, revolutionary take on the Blockchain. 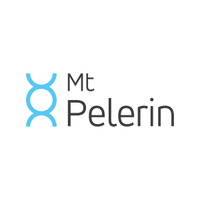 Mt Pelerin believes that an evolution of banking is long overdue. With the global enthusiasm for FinTech and the ever growing success of blockchain technologies, we now have all the right tools to make this evolution happen. ibani.com is an operating company of Smex. Its expertise is currency exchange and transfers. ibani.com is the smart mobile app that generates local CH proxy IBANs in any currency for any international beneficiary, empowering people with more transparent and faster international transfers at a fraction of the competitors’ cost. The post “BORN IN SWITZERLAND” Swiss Original Fintech Overview Map Update: 140 Companies appeared first on Fintech Schweiz Digital Finance News – FintechNewsCH.